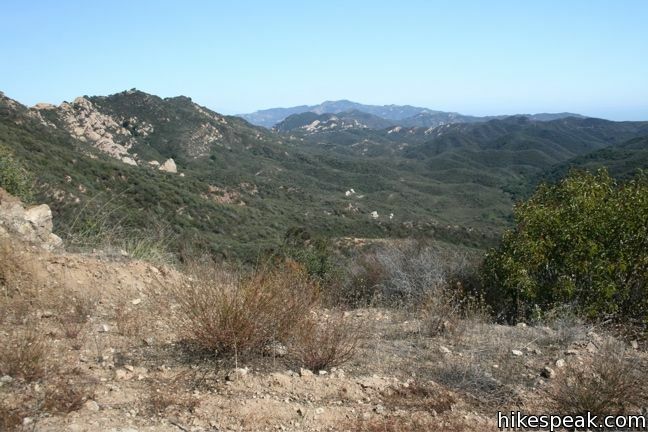 Castro Crest is located 1.4 miles from Latigo Canyon Road up a pleasant section of the Backbone Trail. 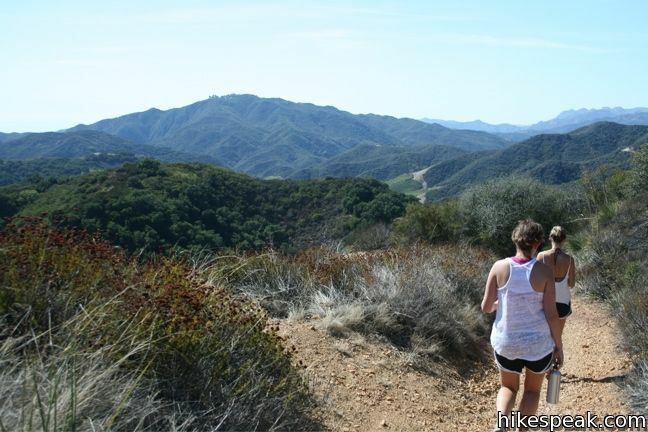 The crest offers excellent views over Malibu’s Santa Monica Mountains, with the option to continue another half-mile up Castro Peak. The summit may not be reached however, as it is privately owned and extremely closed to the public. 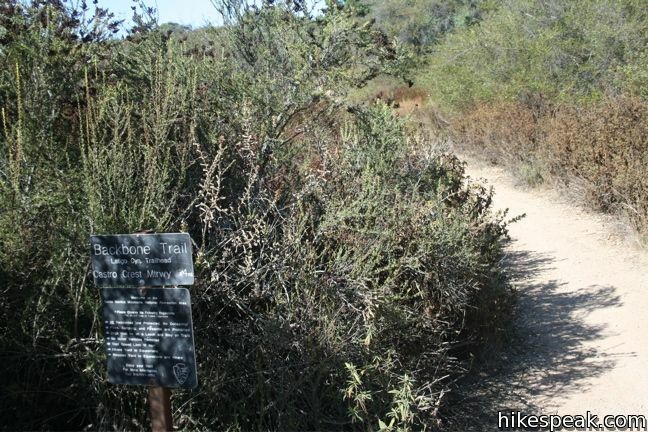 Another popular extension is to continue on the Backbone Trail for another 2.75 miles across Upper Solstice Canyon to Corral Canyon Fire Road. 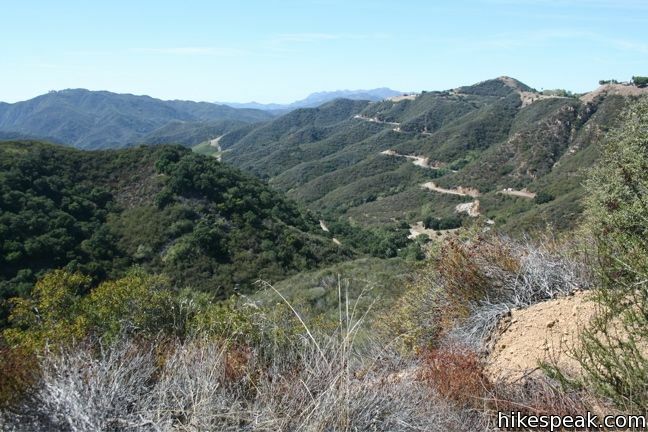 The section of the Backbone Trail between Latigo Canyon and Castro Crest crosses a lush canyon and climbs to panoramic views over the range. 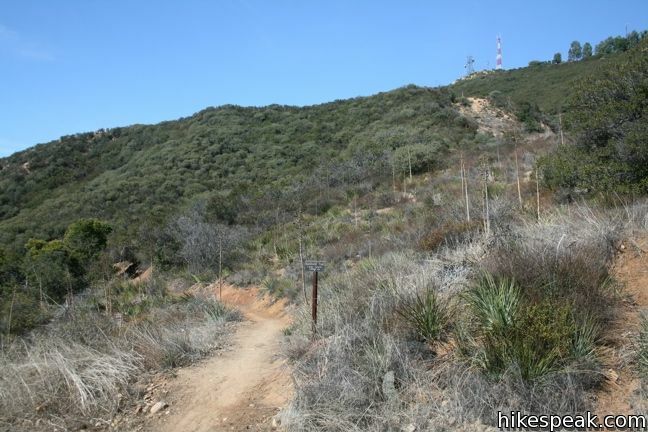 The hike to the gate near the top of Castro Peak is 3.8 miles out and back with 650 feet of elevation between the low and high points of the trail. 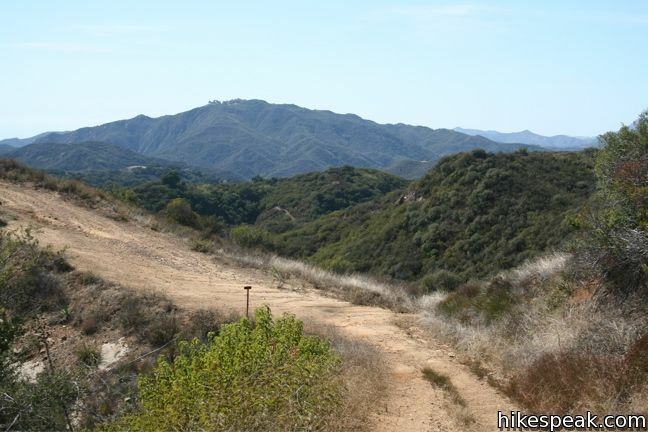 From the turnout along Latigo Canyon Road, the Backbone Trail heads northeast beginning at an elevation of 2,050 feet. The dirt single-track is level at the start, but quickly reaches the side of a green canyon and begins to descend. Across the way, Castro Peak is visible, the highest point in sight, identifiable by its radio-towered summit. 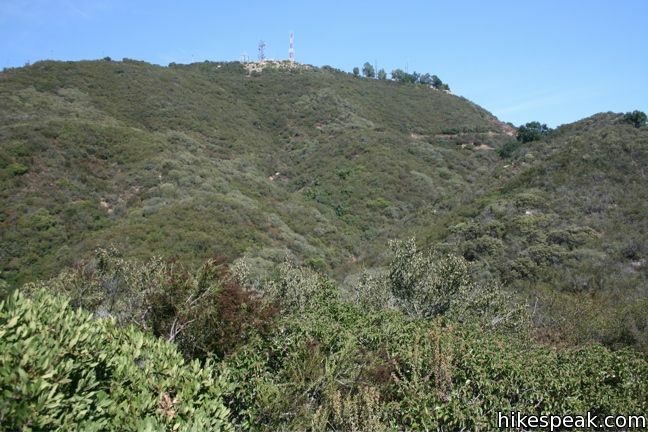 There are no junctions to worry about until you get to Castro Crest, so relax and enjoy the hike. The Backbone Trail switches down to a pleasant shaded glen at the bottom of the canyon. After descending 175 feet over the first 0.45 miles, things begin to head in the other direction. Cross the small seasonal creek and follow the trail to the left as it begins to climb. The single track passes over a rise in the terrain that offers nice midway views before climbing to the junction at Castro Crest, 0.95 miles and 390 feet from the bottom of the canyon. A partial ocean view can be enjoyed beyond the mountains to the south, along with a postcard perspective to the west of the highest peaks in the range. Indeed, the views from Castro Crest are quite panoramic, certainly panoramic enough to inspire you to hike the last half mile up Newton Road. Turn left and march up the wide dirt road as it winds farther up the mountainside, adding another 260 feet of elevation before coming to an intense security gate. You are unlikely to see a higher concentration of uniquely phrased “no trespassing” signs anywhere else on the planet. 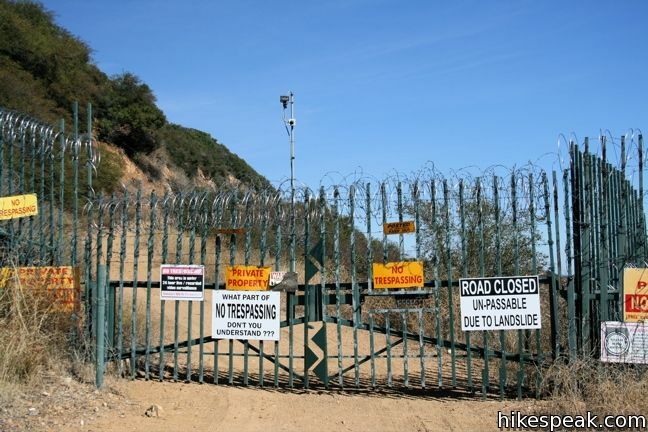 Clearly hikers are not welcome on the other side of this fence, and it is a shame. 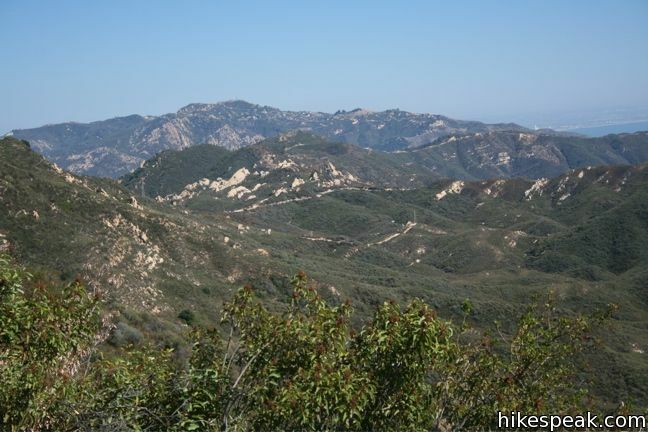 Castro Peak is the fifth highest summit in the Santa Monica Mountains at 2,824 feet, but you can only hike to 2,525 feet. Even from the anticlimactic stopping point in front of the almost comically forbidding gate, the views are sweeping. No Santa Monica Mountain to the east is any taller than Castro Peak, so on a clear day the view in that direction is nearly ceaseless. 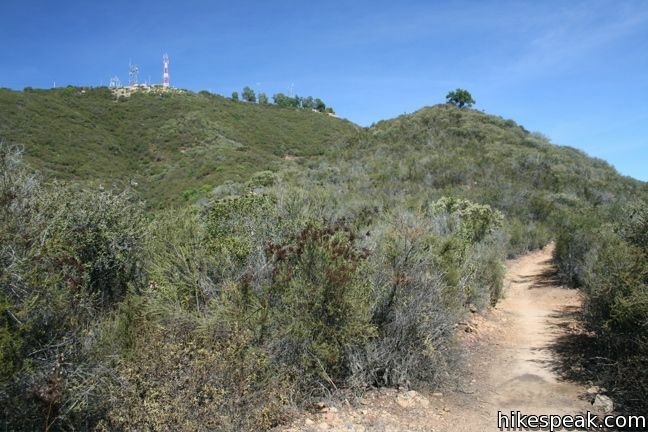 Once you’ve taken it in, hike back to Castro Crest and make a right on the Backbone Trail to return the way you came. It is downhill most of the way back. However, after crossing the bottom of the canyon, you will have the climb 175 gradual feet to the trailhead. No fee or permit is required, so get out and enjoy. 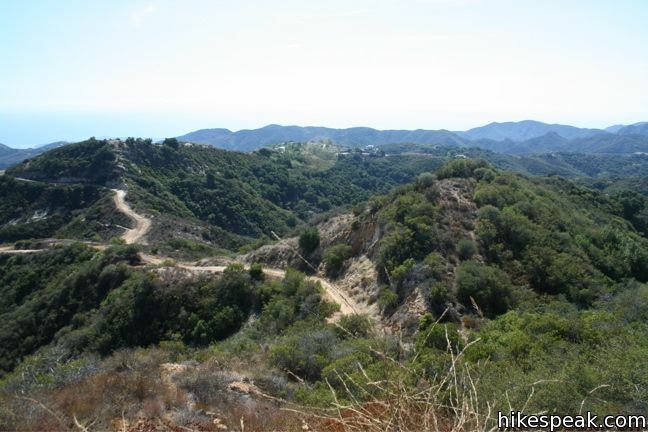 To get to the trailhead: From PCH in Malibu, drive 7.3 miles inland on Latigo Canyon Road. After passing Upper Ramirez Motorway, turn right into the dirt turnout at the trailhead. The parking area is unmarked, so watch your odometer. 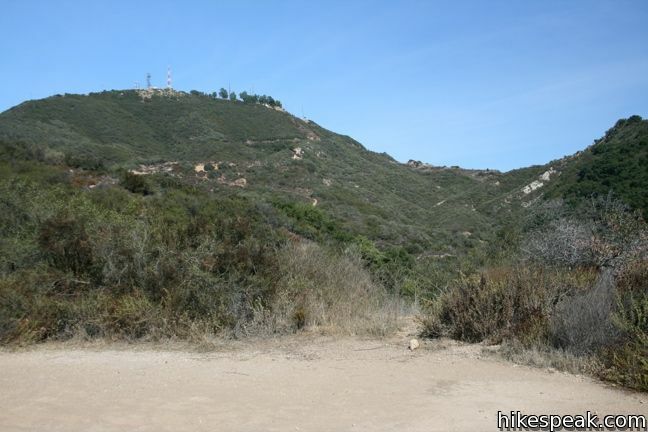 From the 101 Freeway in Lost Hills, take Kanan Dune Road south for 6.8 mile. 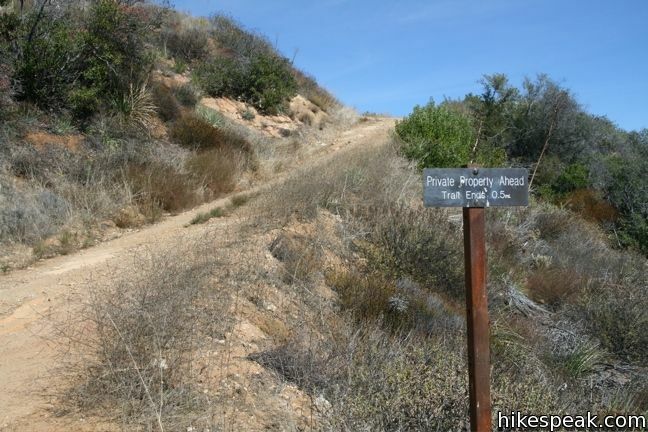 Turn left, heading east on Latigo Canyon Road and drive three miles to the trailhead. These photos were taken in October of 2010. Click to enlarge. 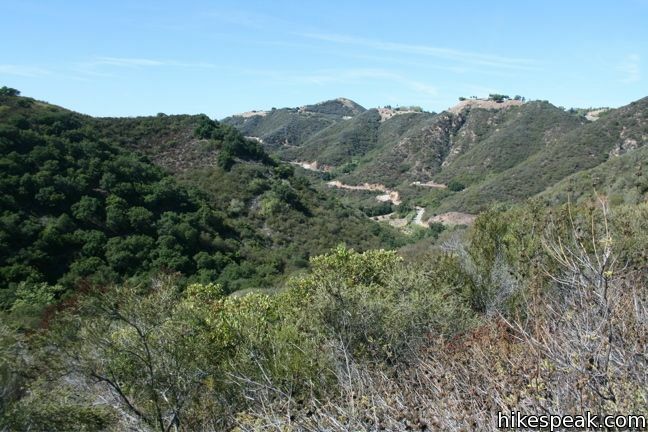 This 5.5 to 6.5-mile hike travels the Backbone Trail across Upper Solstice Canyon from Corral Canyon Road to Castro Crest, with the option to hike an extra half mile up Newton Road toward Castro Peak. 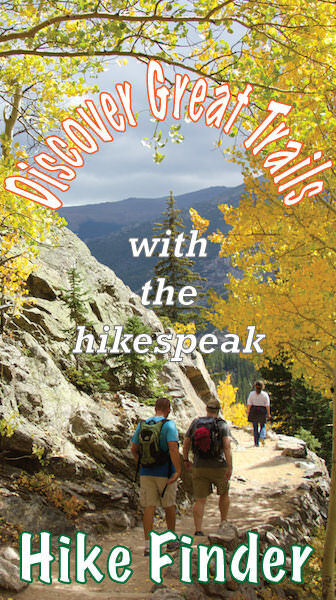 This easy and level 2.6-mile out and back hike visits the ruins of a burned down ranch and a small waterfall. 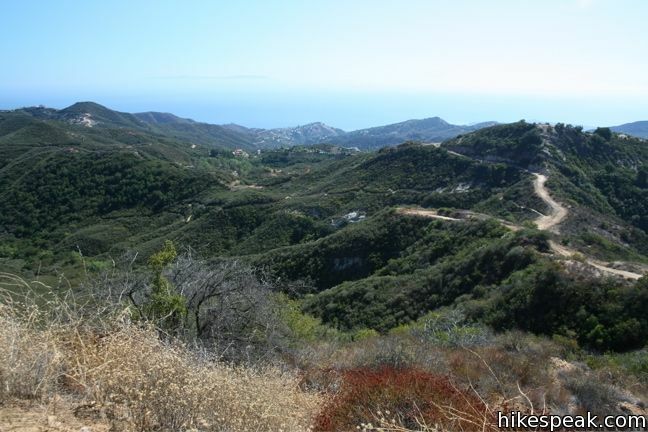 This 2.5-mile loop offers ocean and canyon views from a unspoiled section of the Santa Monica Mountains in Malibu.